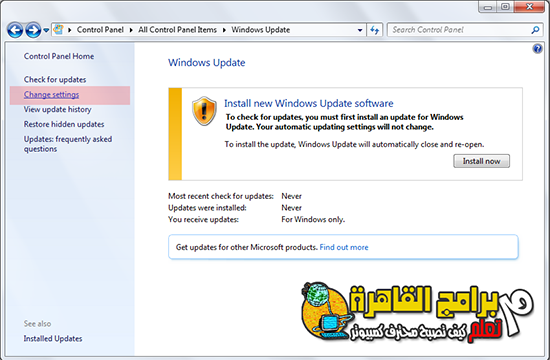 * Install updates automaticlly ( recommended) . 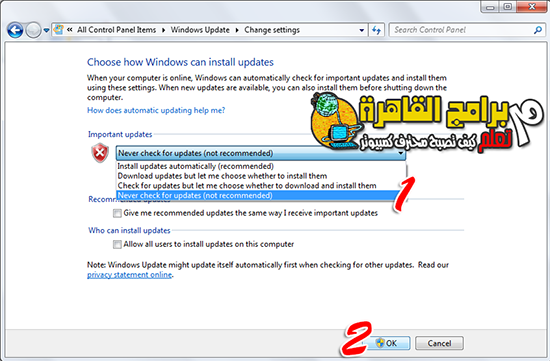 *Download updateds but let me choose whether to install them. *Check for update but let me chosse whether to download and install them. *Never check for updates (not recommended).